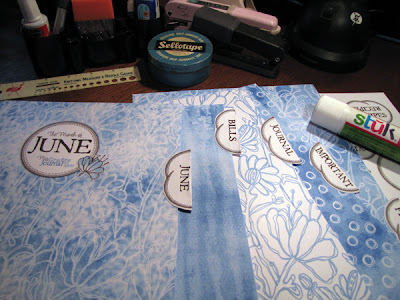 Yes I'm back to share the June set for MY CRAFTY JOURNAL. If you have not yet embarked up setting up your own 'My Crafty Journal' you may like to hop on board now and grab my free monthly downloads to help chronicle, journal and organise your creative/crafty life. You may like to check these previous posts. I hope you like papers I designed from my B&W doodles yesterday. I love how they turned out and loved how they looked when I saw them printed out. Today I just used Yes brand colour copy paper rather than matt photo paper, just because it was already loaded into my printer ~ the colour is not as intense bit still beautiful. I could hardly wait to print them out, attach the tabs and get my pages set up for next month. The process of doing this each month keeps me on track. Simply click here to download and print the June MY CRAFTY JOURNAL pages for your own personal use in creating your own 'My Crafty Journal' or other crafty goodness. Feel free to email me or leave a comment. If you are downloading, some love is always appreciated. Have a great month! 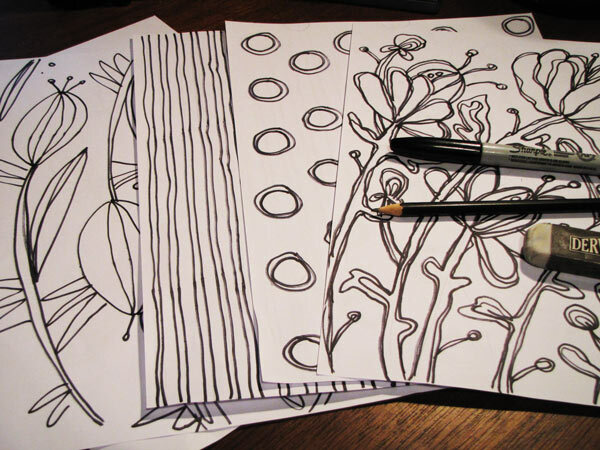 With a rather dead Sharpie set about doing some doodles to get inspired for the next installment of My Crafty Journal for June. I had already decided to go with a blue theme for this month, but as for the paper design/style really had nothing in mind. 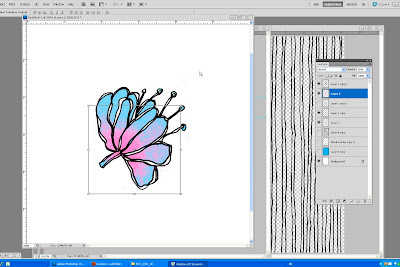 So with pencil and pen in hand started drawing a few flowers, a couple of all over designs, a stripe and a spotty pattern. Whilst they looked pretty rough I was quite happy to commence with these as a starting point, still not knowing where this would take me. The creative process is like that for me. Even if I have a idea simmering I find the "art" tends to take it's own course and I just go with flow. With the preview created, I just have to zip in all up into one PDF and upload to the server. 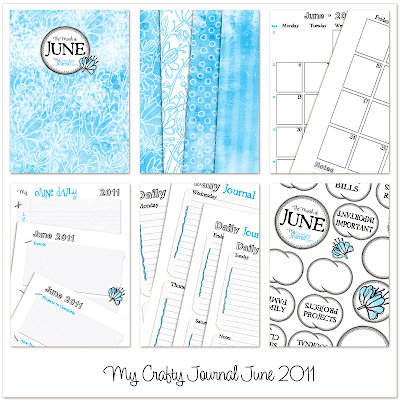 I will be back soon with the preview and to share the download for the June My Crafty Journal. Enjoy your weekend!